Hello dear readers! 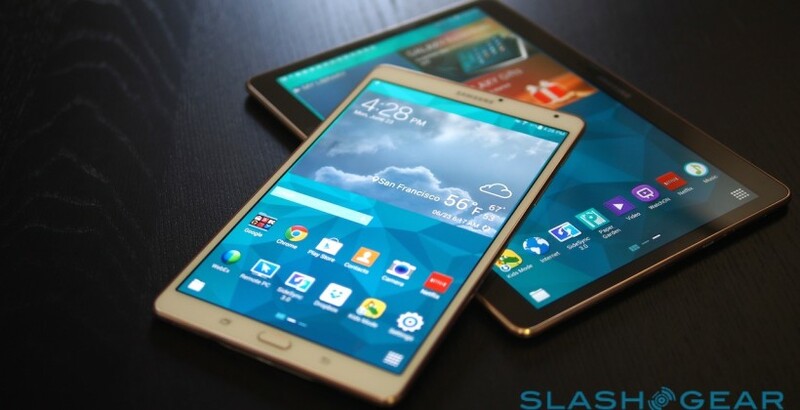 Welcome to the fifth iteration of the Samsung Galaxy Tab S troubleshooting and solutions. We always strive to give you the best solutions available for any issues encountered with your device. Please feel free to read through and leave a comment if you have any ideas that you want to share. Hope we are able to help resolve the problem with your tablet. Read on! As usual, you can send your concerns via [email protected] We may not be able to respond to every email we receive but rest assured we will read every single one of them so your effort won’t be wasted. And for those who prefer to reach us via social networks, feel free to post your problems on our Facebook wall or on our Google+ page. Expect more articles for the Samsung Galaxy Tab S in the following weeks. Troubleshooting: Hello Hannah. A newly purchased tablet shouldn’t behave like this. The apps should automatically place a shortcut on your home screen if it has been successfully downloaded and installed. May we know what specific applications have missing shortcuts? How many apps have you installed so far? This issue is likely caused by either a bad app shortcut or a full app drawer. When downloading the apps from the Google Play Store, you need to make sure that the Add Icon to Home screen option is ticked. You can find it under Settings>General in the Google Play Store interface. You also need to check if the app drawer is already full. The app drawer holds all the app shortcuts of the applications added to the device. The space allowed for these shortcuts is limited hence you can no longer add more app shortcuts if all the space have been utilized. You can still see the applications from under the Application Manager though as what you’ve observed on your tab. To resolve the mystery of the missing apps, you need to delete unused applications to give way to the newly downloaded ones. You may also want to completely delete those apps and re-download them as those may just be bad downloads. Regarding the issue with the credit card page, this can be due to a blocked pop-up on the browser used. Can you browse other web pages with no issues? If so, the browser is working as expected. The tablet should be able to communicate with the servers as well as the other devices does. Thus, it’s just a matter of tweaking some settings in order for the browser to allow access to all websites. Check and see if the pop-up blocker is enabled. You can find this under Settings>Internet Options. Disable it and save the change. Take time to clear the cache, temporary files and browsing history while you’re at it. Close the browser for the change to take effect and re-launch it. Rebooting the tablet itself will also help refresh all the settings. Troubleshooting: Hi Jennifer. The situation with your tab can be overly frustrating especially if it happens when you are using it. There is a great possibility that disconnecting the Sprint plan caused the tablet to act up. We can check some things to make sure and further isolate the case. Upon a thorough search on the Sprint support page, we found out that disconnecting the plan has nothing to do with the said issue. You can still continue to use the device even after it is disconnected from the Sprint contract. It also seems that your tab is undergoing a boot loop as it doesn’t go straight to the home screen when it restarts. On this note, we need to check if the issue is caused by a fault in your tablet’s firmware. Like other boot issues, the first thing that we need to do is a soft reset to your tab. You can do this by holding the power button down for ten seconds or until the screen shuts off. Wait for a minute or two then power it back on. You can now attempt to clear the cache and data from your apps then restart the device. Performing a hard or master reset one more time can make a difference in resolving the issue however this process will permanently delete all files and apps downloaded to the tab. You’ll need to create a backup before continuing with the process. The first master reset may have been incomplete or unsuccessful so make sure that it’s done right on the second attempt. Follow the step by step tutorial in doing the hard reset. The tab should reboot on its own if the reset is successful. After it restarts, the issue should be resolved and you can enjoy the tab again. If none works, we advise that you get the tab repaired on a Samsung repair center. Troubleshooting: Hi Joe. This is the first time that we’ve heard of this case. Most Android users who activated the Developer Options don’t experience the freezing issue. If this causes your Settings menu to crash, then we could be looking at a faulty firmware. Let’s work together in resolving this matter so we can get you back to business as soon as possible. Just to clarify, what is the Android version installed in your tablet? There was a bug reported for the Developer Options enabled on Android version 4.4.2. This issue could be a part of that bug. What we suggest is to disable the Developer Options again by going to Settings>Apps then swipe over to all apps, scroll down to Settings>Storage and tap on clear data. Once it’s hidden, try to tap on the Build Number again seven times to reactivate it. This work around normally resolves the issue. In addition, performing a soft reset will also refresh the tab’s firmware and may get the Developer Options working again. All you need to do is press and hold the power button for ten seconds or until the tab shuts down. Let it rest for a couple of minutes then turn it back on. Rebooting the tablet into Safe mode is a great way to isolate the issue as most applications and functionalities are disabled. Since it did not work in this mode, then it has nothing to do with the apps installed. This can’t resolve the issue though. The best way to resolve it is by performing a hard reset which will wipe out all the data in the tab but would allow you to start fresh. This will also reset the tab’s firmware therefore it can get rid of anything that may have affected the Developer Options. Hope this is helpful. Troubleshooting: Hello Damon. An unresponsive tablet can be disappointing especially if you want to use it. You did an awesome job though in trying to reboot the device as this is definitely the first step that we want you to do in attempting to resolve this case. There are multiple things that can contribute to a freezing issue with a tab. The widely known causes are bad applications, malfunctioning software, and or an acting up firmware. Overheating can also cause the tab to freeze. What was the last thing you did in your tab before it froze? Do you remember if you’ve played with it for hours prior? Have you recently downloaded some apps that may have affected it? What is currently displayed on the screen? Since we can’t access the tablet’s interface because it would not respond to the touch and the power button won’t react to a normal boot, we can attempt a soft reset to it. To do the soft reset, you need to press and hold the power button down for ten seconds or longer (until the screen completely shuts off). A long press on the power button almost always does the trick. If you have successfully turned it off, let it rest for a couple of minutes then try to turn it back on. If it booted to the home screen, we need to make sure that the applications are running perfectly well and would not cause the tab to freeze. You may want to check under Settings>General>Application Manager for the list of downloaded and stored apps. Open each one and make sure to clear every data and cache. An overflowing cache folder can surely contribute to the freezing experienced by the device. You can also uninstall some apps that you don’t use anymore to lighten up the space. If the above steps failed to resolve the issue, a hard reset would surely do the trick though this will erase all personal data stored in your device. Make sure to keep a backup if you still can so we can avoid any data loss. The tab should be powered off first before this process can be completed. Press and hold the power button for a minute to allow the tab to shut down. Once it’s off, press and hold the Volume Up key. While holding it down, press and hold the Power key this time. You can release both keys once you see a Recovery Booting message on the top left corner and the Galaxy Tab S logo appears. Scroll to the wipe data/factory reset option using the Volume Down key then press the Power key to select it. Use the Volume Down key again to scroll to yes—delete all user data and press the Power key one more time to select it. Once the process is complete, tap on the Power key to select reboot system now. The hard or master reset has been completed and the device should restart automatically. The freezing issue should be resolved. If not and you’re having trouble turning the device off in the first place, we need to reset the battery’s connection to the motherboard. Doing this on a tablet though is quite difficult as compared to doing it on a mobile phone. This requires a great deal of patience and will void your device’s warranty. If you’re willing to proceed, be ready with a pry tool. We will open the back cover of your tab with the use of a pry tool. Be extremely cautious as we don’t want to damage the cover. Once it’s off and you see the muscular frame of the device, look for the white plastic plug that binds the battery to the motherboard. Use another pry tool to carefully pull the wires of the connector out. Leave the battery connector out for a minute then firmly plug it back in place. Replace the back cover and turn the tab on. The abovementioned troubleshooting steps should resolve the freezing issue with your tablet. Otherwise, bring the tab to a certified Samsung service center to be repaired or replaced. Troubleshooting: Hi Jamie. This looks like an issue with the tab’s battery especially that it won’t even charge. Have you tried a different charger though to see if it works? Or have you attempted to connect the same charger to another tab for isolation purposes? We also need to make sure that the charger is directly connected to the wall socket and not to a power surge protector as the latter can cause a shortage of power sometimes. Also, try charging it on a different wall outlet with only the tab connected. Leave it connected for 5 minutes and check if the charging indicator shows up on the screen. It will take some time for the tab’s battery to get enough power for an initial boot especially if it has been totally drained. If it still did not make the tab to power on, try to reset the battery’s connection to the motherboard as mentioned on the post above about Samsung Galaxy Tab 10.1 is totally frozen and won’t shut off. Remember to use the right pry tools as indicated and keep in mind that this will void the tab’s warranty. Resetting the battery connector will help jumpstart the battery’s power which will start the charge and may resolve the stated concern. If not, you now have to bring the device to a certified Samsung service center to be fixed or the battery replaced. Hope this helps! Troubleshooting: Hello Itai. We are sorry to hear about your photos. You must have such great pictures. Luckily, the manufacturers of Android are a strong believer of the saying, “nothing gets deleted or lost forever unless it is overwritten.” With this being said, we found a great recovery tool which enables you to retrieve the photos that have been deleted by accident. The Samsung Photo Recovery is the perfect tool to use as it is user friendly and doesn’t take up a lot of space when installed. This can be used across all platforms of the Samsung Galaxy series. This is a very powerful tool as it can also recover Samsung photos of digital RAW format. The link contains full details about this tool including a step by step guide on how to use it. Make sure to read it thoroughly before you attempt to recover the deleted pictures as misusing it can cause serious damage to your tab’s software. To prevent future data loss, especially your precious photos, make it a habit to back up all files on a regular basis. This also makes it easy for you to retrieve the files in case of accidental deletion. Hope this helps! Troubleshooting: Hello Dionne. The tab’s software must have been affected when it got dropped. Don’t worry, there is a way to fix it. The best solution to remedy this is to perform a master reset to your device. By doing so, all the data and settings saved previously will be wiped out from the system and you can start fresh with the setup like its brand new. Performing a hard or master reset is quite tricky especially if it’s your first time. Make sure to follow the instructions point by point in order for the process to be successful. You can follow the steps mentioned on the above post for Samsung Galaxy Tab 10.1 is totally frozen and won’t shut off. Once it’s finished, your daughter can now customize the tab to her preference and the settings should be permanently saved even after rebooting it. Let us know if it worked. Troubleshooting: Hi JL. Thank you so much for spending time in reading our articles and we are ecstatic to know that you have enjoyed it. We hope you find it helpful as well. The Plex app is indeed heaven sent as it makes watching videos easier and way more entertaining than viewing it on other similar apps. The official Plex website describes it well, “One window into all your personal media. No matter where you are.” To start, we scoured the internet for anything that could suggest a connection between the buffering and the software version of Android that is hosting the Plex app but we could not find any. We also tested the same app on two different platforms of Samsung Galaxy which resulted to a flawless streaming on both devices. Therefore we can confirm that the app should work perfectly regardless of the Android software version it’s installed in. Also, the fact that it can stream Netflix seamlessly and your Note 4 has no streaming problems suggests that there is nothing wrong with your network. Therefore, we need to shift our focus to the Plex app itself. Have you installed the latest update for this app on your Galaxy Tab S? It is quite common for videos to buffer if the app has not been updated. You can check the latest release on the Google Play Store. It is also recommended to regularly clear the app of temporary cache as this can affect the streaming. You can go to Settings>General>Application Manager and look for the Plex app. Open the said app and clear the cache. Lastly, uninstalling the app then reinstalling it can also resolve the buffering issue. This will clear any unwanted files that may have been affecting it and would allow you to start afresh. We hope to hear from you and let us know if this is helpful. Feel free to send us your questions, suggestions and problems you’ve encountered while using your Android phone. We support every Android that is available in the market today. And don’t worry, we won’t charge you a single penny for your emails. Email us via [email protected] any time. We read every email but can’t guarantee a response. Lastly, if we were able to help you, please help us spread the word by sharing our posts with your friends or visit our Troubleshooting Page. few of these aren’t correct solutions a frozen tablet can be sorted sometimes by not wiping the whole tablet to factory settings as you advise, but by by pressing the volume down and off button for 10 seconds, its worked on my own and another tablet that froze . Samsung tab s won’t install apps from playstore. Anyone have a similar problemen?